There are a couple of things in life you can always depend on to ignite a frenzy on social media. Par example, people lying about their kids being profound, race hatred and football. Another one is dancing. Not the good kind. Not ‘Wow, these guys are cool AF!’ dancing that sometimes goes viral. I’m talking about the type of physical rhythm that makes you question whether or not AI is already among us. 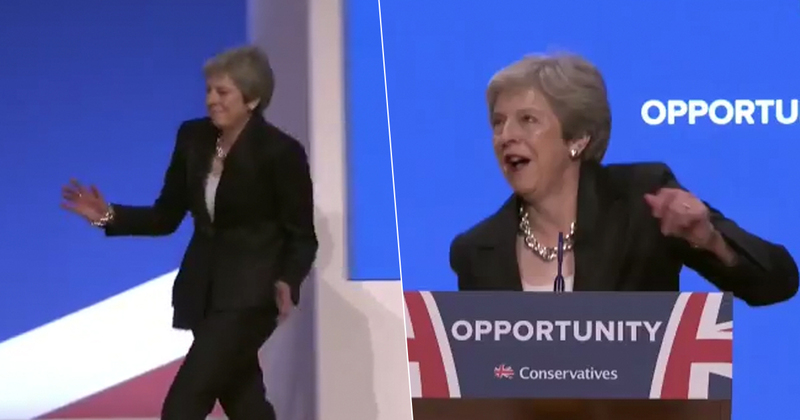 I am, of course, referencing Theresa May, who has just set feeds across the nation alight by walking on to ‘Dancing Queen’ by ABBA at a Tory party conference. Is that the worst display of movement-to-music ever? This isn’t about politics BTW, it’s about the human race. If Jeremy Corbyn cut shapes as terribly as this, I’d be making Momentum cry like babies. 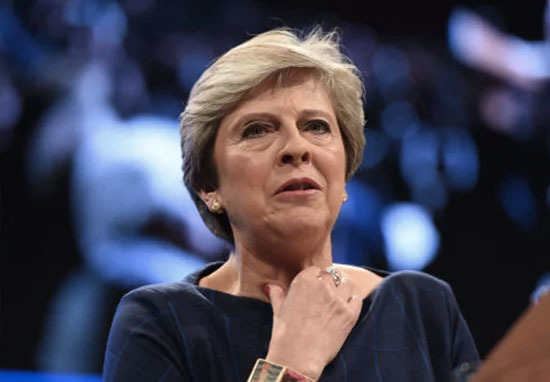 Prior to saying soldiers killed in World War I should not have died in vain, the Prime Minister poked fun at her own dancing, the likes of which previously went viral last month on a visit to South Africa. May was papped dancing with school children in Cape Town over the course of a three-day visit. I don’t think it was as bad as this. In fact no – nothing is, really. Bring on the nukes. Naturally, the European Union came up too. A Brexit that might make Britain stronger fifty years from now is no good to you if it makes your life harder today. If you work in a factory in Pendle, you need a Brexit that keeps trade friction-free and supply-chains flowing. If you are a fisherman in Peterhead, you need a Brexit that delivers full control of our waters. If you run an exporting business in Penarth, you need a Brexit that will open up new global markets. If you live in Pettigo on the Irish border, you need a Brexit that keeps it frictionless and communities connected. These things matter to you – so they matter to me. You are the people we are all here to serve. And together we will build a brighter future for the whole United Kingdom. We’re all down for a brighter future, but that dancing isn’t going to help things at all.